What Size Solar Panels Do You Typically Need for Homes & Businesses? What Size Solar Panels Do You Need for Your Home or Business? Photovoltaic energy (aka solar power) have been around since 1876, making it a dependable and clean electricity source. What was once a very cumbersome and expensive process is now manageable both in convenience and affordability. It is a cost-efficient method for either supplementing or replacing current electrical plans. • What is the typical solar panel size? • Does the size and output of electricity depend on what kind of panel I have? • How do I calculate the solar panel sizes and prices? • What size solar panel do I need? Solar panels come in different sizes. One of the decisions on which panel to buy depends on its usage. If the pv panel is going to be used for the home, the standard solar panel size would be 65″ by 39″. The average size of solar panels used by a business is 77″ by 39″. The deepness or depth of a panel can be from 1.4″ to 1.8″. The weight of most solar panels is from 40-50 pounds depending on if they are going on top of a house or on an office building. The size of a solar panel doesn’t really limit the efficiency of the array unless the area of placement is small and cramped. For example, the space in a window would be smaller than the area on top of a roof and therefore, not as many panels will fit in the window. Due to the small space, the panel’s cells will give less electrical wattage than the ones installed on a rooftop. However, more attention should be given to the geographical location, climate, weather and blockages of light when calculating what position to put the solar panels. These factors contribute more to the efficiency or inefficiency of a network than the size itself. Before considering how to size solar panels for the roof or how many panels will make a 1kw of energy, a consumer should have an idea of how much electricity they use on both a daily and monthly basis. According to SolarPowerIsTheFuture.com, one should look at his or her electrical consumption by reviewing the electric bills of the previous year to chart a course of action. A person should also have an idea about how many watts or kilowatts that each item that uses electricity will consume per hour, month and year. One example that the site showed was figuring out how much power a 100 Watt bulb would generate. If that bulb was used ten hours a day, it would produce 30 kilowatt-hours of energy per month. If the usage is consistent, then that light bulb can equal 360 kilowatt-hours per year. How much the solar-powered arrays cost depends upon how many panels a person will need to satisfy the electrical as well as monetary budget. If the full array on the roof is too expensive, then other alternatives such as a window network may be more suitable. Either one will pay out dividends in lower power bills. Once the usage amount is determined, then a person can figure out the size per watt or the size per kw that will be needed to power up the home or business. Other factors may include what type of array will be used and if the units will get at least seven hours of sunlight. 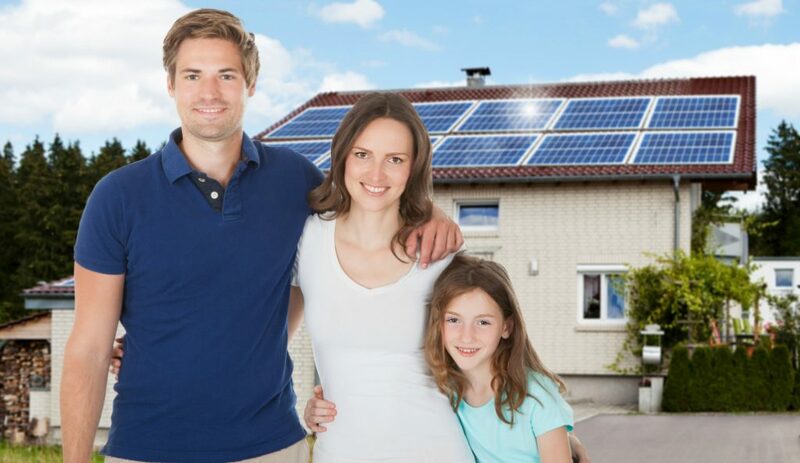 Professional installers can help homeowners determine which solar panels will fit their needs. All throughout the world, high-priced bills from the power company have left many people looking in different directions for obtaining electricity. Wind and hydro-power are available but they need a lot of equipment to set up properly. Luckily there’s solar power, which can require just a few small size solar panels, an inverter and a battery to turn the windows in the average person’s home into a sustainable energy wonderland. If you are in need of high quality solar panels and installation services, Energy for Mankind can help. We have years of experience customizing a solution the is perfectly aligned to our customers needs. Contact us today for a free quote. How Much Do Solar Panel Systems Cost Per Watt, on Average?